The Coalition of State Museum Associations, or COSMA, is the only national entity whose priority is to serve the needs and aspirations of state museum associations. Through COSMA, state museum associations will receive the support, professional development and resources they need to strengthen museums across their state. Through COSMA, state museum associations will thrive, leading to a stronger museum industry in the United States. 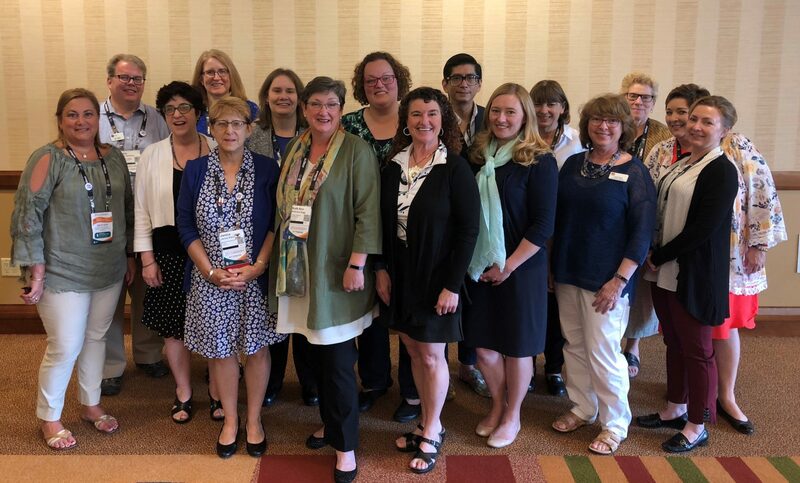 Mission Statement: The Coalition of State Museum Associations connects and strengthens state museum associations in order to build our collective capacity to advance the excellence of museums in every state. Vision Statement: The Coalition of State Museum Associations builds partnerships and services to provide improved resources, influence, and access for state museum associations to carry out their missions. Strong state museum associations lead to stronger museums. 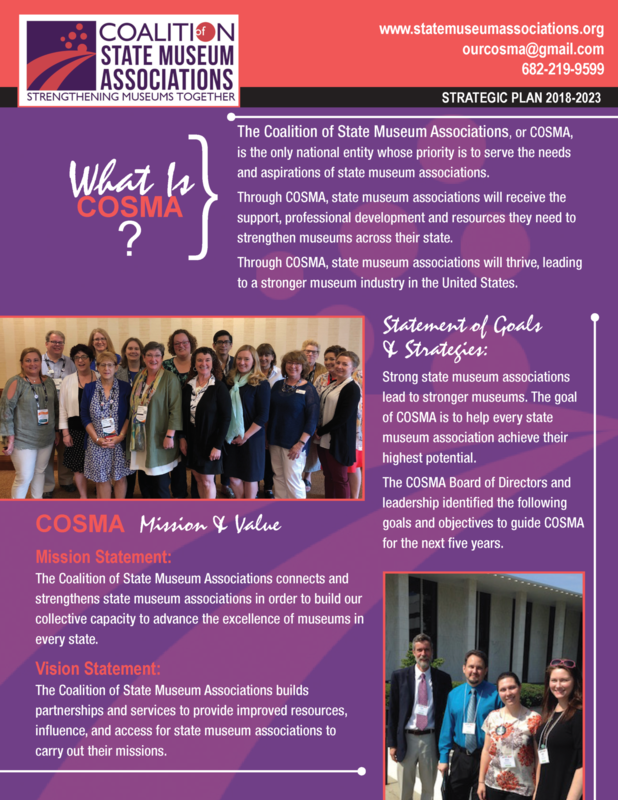 The goal of COSMA is to help every state museum association achieve their highest potential. The COSMA Board of Directors and leadership has identified goals and objectives to guide COSMA for the next five years. Click to view the Strategic Plan.